This page takes a minute to download, BE PATIENT, it is a VERY EXTENSIVE LIST with MANY autographs for sale. These photos and balls are of the highest quality, satisfaction guaranteed. Prices on this page are SUBJECT TO CHANGE. 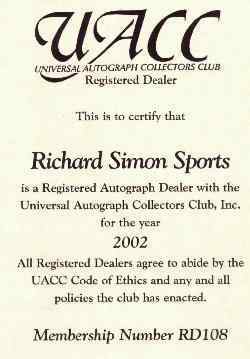 CLICK FOR INFORMATION ABOUT GETTING SPORTS AUTOGRAPHS AUTHENTICATED. 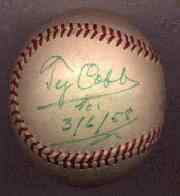 I buy and sell sports autographs and memorabilia, with an emphasis on baseball autographs and baseball memorabilia. 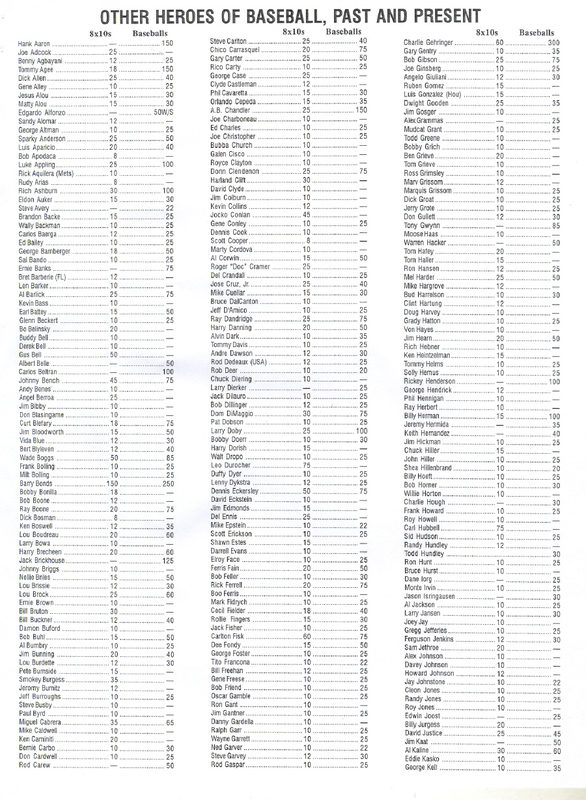 The following is a listing of my current inventory of autographed baseballs and autographed 8x10 photos. If there are baseball autographs you are looking for that are not listed, please send me an e mail and I will keep you on file. 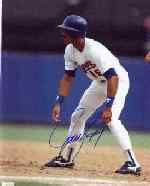 I have been buying and selling baseball autographs for 22 years, you can be assured of authenticity and quality when you buy from me. All items come with a COA, backed by myself, a dealer who has been in business for 22 years. These photos and balls are of the highest quality, satisfaction guaranteed. Scroll down to the end of this page and follow the links to my other baseball autographs and memorabilia lists, many items available for sale including Jackie Robinson, Roger Maris and more. Shipping is $7 per order on 8x10 photos. For baseballs $7 for the first ball and $1 each addtl. ball. For orders of ball and photo the charge is $9. 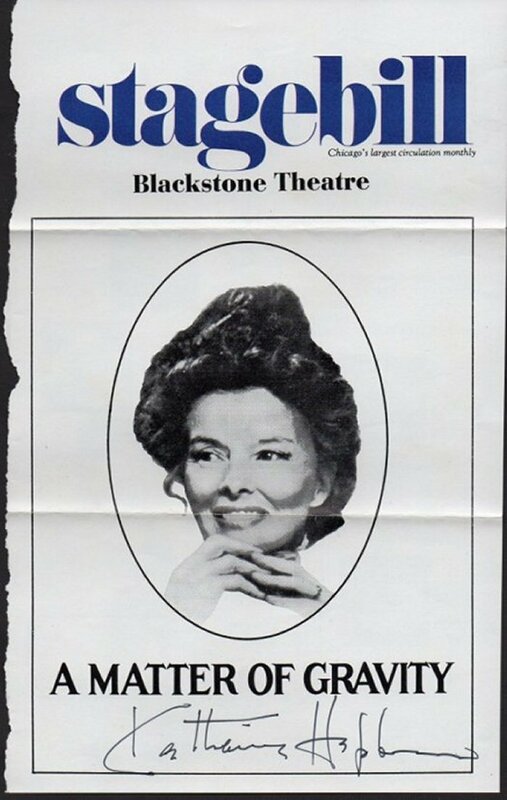 CELEBRITY AUTOGRAPHS-vintage Movie stars, Music and TV stars, well known personalities, Marx Brothers, Elizabeth Taylor, Walt Disney, Katherine Hepburn and more.